My son loves Ritz Crackers! Like go through an entire stay fresh package in under 30 minutes if they aren't put on a high shelf kind of love. We had a friend coming over for a play date so we whipped these guys up. 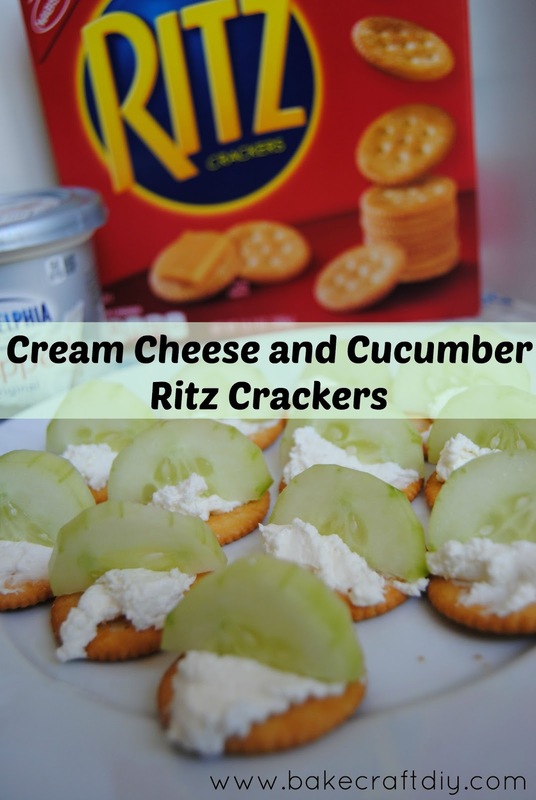 They were easy to make you just need a cucumber, whipped cream cheese, and Ritz Crackers. Peel the skin off the cucumber you can do this fully (like I did) or in strips to add contrast. Slice the cucumber, then slice each cucumber slice in half. Spread the cream cheese on the crackers making sure to add enough to keep the cucumber standing. I think this recipe could easily change to a (sweetened) cream cheese with strawberries atop, for an after school snack. That is what night creams are for. Night creams work in synergy with sleep in keeping your skin young, clear,Debra Messing Wrinkle Cream and healthy.